In 1741 Rameau published his Pièces de clavecin en concert pour un violon ou une flûte, une viole ou un second violon. In these pieces he includes the flute, viola da gamba and harpsichord as three independent instruments playing together. Structured in five concerts, these pieces can be performed in quartet, simply adding a violin. 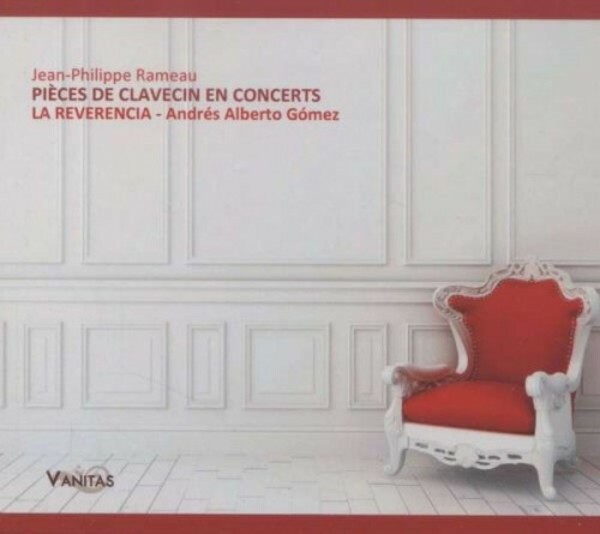 This version recorded by La Reverencia is based on this, offering a different and powerful sonority. Besides the obvious beauty of this music, its interpretation required performers to have great technical and musical qualities because of the difficulty of the score. This is the only example of chamber music in Rameau's works and one of the most glorious examples in baroque French music that, in some way, anticipated the classic trio for piano, violin and cello.